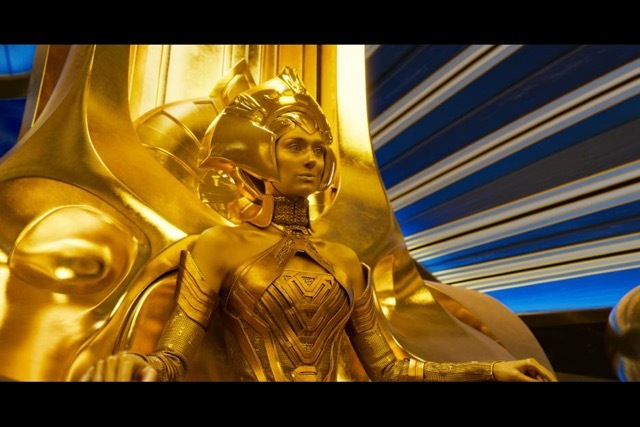 "Galaxy" gold: For the eleventh straight year, Hollywood's summer movie season is off to a splendid start thanks to Marvel and Disney. "Guardians of the Galaxy Vol. 2's" $145 million opening last weekend makes it Marvel's sixth biggest early May launch since 2007. The PG-13 rated 3D sci-fi action adventure follows "The Avengers" with $207.4 million in 2012, "Avengers: Age of Ultron" with $191.2 million in 2015, "Captain America: Civil War" with $179.1 million in 2016, "Iron Man 3" with $174.1 million in 2013 and "Spider-Man 3" with $151.1 million in 2007. "GG2's" opening, Disney said Sunday morning, "is 54% higher than the first 'Guardians of the Galaxy' in 2014 and, along with 'Beauty and the Beast,' gives Disney the top two debuts of 2017. "It is Marvel Studios' 15th #1 debut out of 15 films. 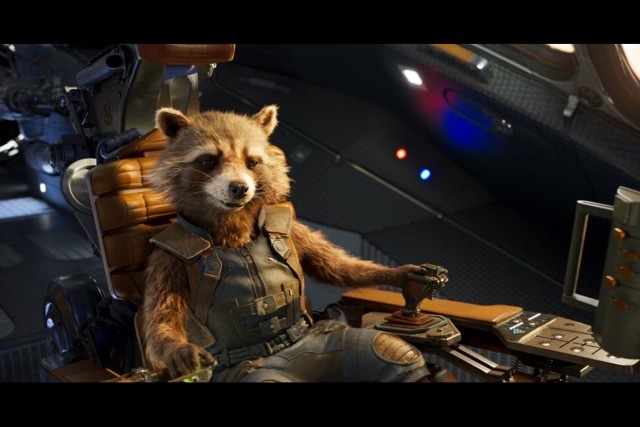 Kicking off with a powerful $17 million in Thursday night previews, 'Guardians of the Galaxy Vol. 2' received an A CinemaScore from audiences, the 10th consecutive A-range score for Marvel Studios, and is Certified Fresh at 82% on Rotten Tomatoes." Last weekend was the film's second in international release, Disney noted, "posting an estimated $124 million for the weekend for an international cume of $283 million. Combined with the domestic gross, the estimated global weekend of $269 million contributes to a global overall cume of $428 million in 13 days of play. "Among new markets, Korea opened May 3 and posted an opening weekend that already exceeds the total run of 'Guardians of the Galaxy.' Russia opened May 4 and posted the 3rd highest MCU (Marvel Cinematic Universe) opening to date, 45% ahead of 'Guardians of the Galaxy.' And China opened May 5 and posted the 4th highest MCU opening to date, 75% ahead of 'Guardians of the Galaxy.' Holdover markets continued to perform strongly, especially across Europe." "GG2," the studio pointed out, "has pushed the Marvel Cinematic Universe past $11 billion in combined global grosses, from 15 films since the MCU’s inception in 2008." The audience for "GG2," per Disney, was 56% male and 44% female. In terms of groups, it was: adults (72%), families (19%) and teens (9%). By ages, it was: 12 & under (8%), 13-16 (10%), 17-25 (22%), 26-34 (26%), 35-49 (22%) and 50+ (12%). IMAX, which was an important element in the film's global success, said Sunday, "It played this weekend on 1,088 IMAX screens in 69 markets making it the widest opening in IMAX's history. "The weekend's results were driven by an impressive $13 million of IMAX boxoffice from the North American marketplace. IMAX screens were featured in 7 of the film's top 10 locations. "The international IMAX box office was $12 million, which was the 4th best May opening weekend ever in IMAX. Specifically, launching on 400 screens in China (a first for IMAX) 'Guardians 2' delivered an outstanding $6.4 million of IMAX boxoffice. The rest of the international markets delivered $5.6 million on new openings and holdovers from last week." Including the previous week's early international openings, IMAX said, "the global IMAX boxoffice as of Sunday night stands at $32 million. With the Japan release still to come and very strong word of mouth, 'Guardians 2' is a real crowd pleaser that's poised to be a major worldwide boxoffice success in the IMAX network." Directed by James Gunn ("Guardians of the Galaxy"), "GG2" stars: Chris Pratt, Zoe Saldana, Dave Bautista, Vin Diesel, Bradley Cooper, Michael Rooker, Karen Gillan, Pom Klementieff, Elizabeth Debicki, Chris Sullivan, Sean Gunn, Tommy Flanagan and Laura Haddock, with Sylvester Stallone and Kurt Russell. Here's a detailed rundown of boxoffice comparisons to the franchise's original episode from August 2014 as well as to Marvel's early May blockbusters going back to 2010. (1) "Guardians of the Galaxy"
STARS: Chris Evans, Robert Downey Jr., Scarlett Johansson, Sebastian Stan, Anthony Mackie, Don Cheadle, Jeremy Renner, Chadwick Boseman, Paul Bettany, Elizabeth Olsen, Paul Rudd, Emily Van Camp, Marisa Tomei, Tom Holland, Frank Grillo and Martin Freeman with William Hurt and Daniel Bru?hl. (3) "Avengers: Age of Ultron"
(4) "The Amazing Spider-Man 2"
Bottom line: May's boxoffice momentum should continue this weekend with Warner Bros. and Village Roadshow Pictures' PG-13 rated 3D action adventure "King Arthur: Legend of the Sword" opening at about 3,600 theatres. Directed by Guy Ritchie ("Sherlock Holmes"), it stars: Charlie Hunnam, Jude Law, Annabelle Wallis, Djimon Hounsou and Eric Bana. It reportedly cost $102 million to produce and is the first of a six picture series revolving around the legendary king. Hollywood handicappers are buzzing now about a likely four day Memorial Day weekend opening of $100 million for Disney and Jerry Bruckheimer Films' PG-13 rated 3D fantasy action adventure "Pirates of the Caribbean: Dead Men Tell No Tales." Last weekend saw $193.5 million in domestic ticket sales, per comScore. As impressive as that was for early May, it actually was down 19.5 percent from $240.3 million this time last year when "Captain America: Civil War" opened to $179.1 million. 2017's $3.951 billion boxoffice to date, according to comScore, is up 3.8 percent vs. $3.807 billion a year ago. This year's lead over 2016 has been eroding. A week ago, 2017 was ahead by 4.2 percent and the week before that it was up by 5.2 percent in comScore's tracking.